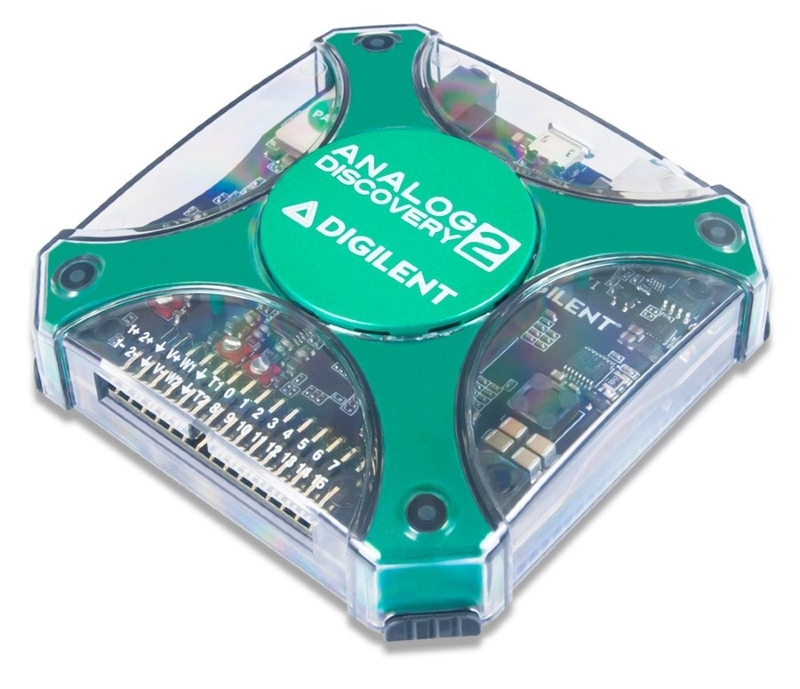 MATLAB® supports the Digilent Analog Discovery™ design kit, a low-cost, portable USB DAQ device. The kit enables project-based learning for analog circuit design. For professors and course instructors, the kit comes with downloadable teaching materials, reference designs, and lab projects. Data Acquisition Toolbox Support Package for Analog Discovery now supports Analog Discovery 2 hardware on releases R2018a and later. This support package is available for R2013a and later releases. For earlier releases, view prior release support. Support Package Installer installs third-party software for this support package. For more information, see the documentation or run Support Package Installer. To start Support Package Installer, go to the MATLAB tool strip, and click Add-Ons > Get Hardware Support Packages.